COURTESY PHOTO Governor Andrew Cuomo announces a proposal to offer certain residents a property tax credit on Wednesday. It’s one of two things, according to Benjamin Franklin, that is certain in life: taxes. 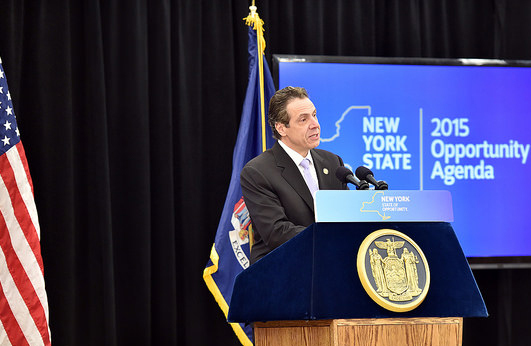 And one proposal by New York Governor Andrew Cuomo aims to at least ease the tax burden for about 1.3 million people across the state. JIM COLLIGAN PHOTO | This magnificent eagle was seen soaring over the Mashomack Preserve. In these close up shots of the eagles nesting now in Mashomack, one can get the idea where the expression “eagle eye” comes from. Not only are the eagles’ eyes as large as human’s, they are four times stronger than a person with 20-20 vision.